A macro shot of a pile of live mealworms in a white bowl. 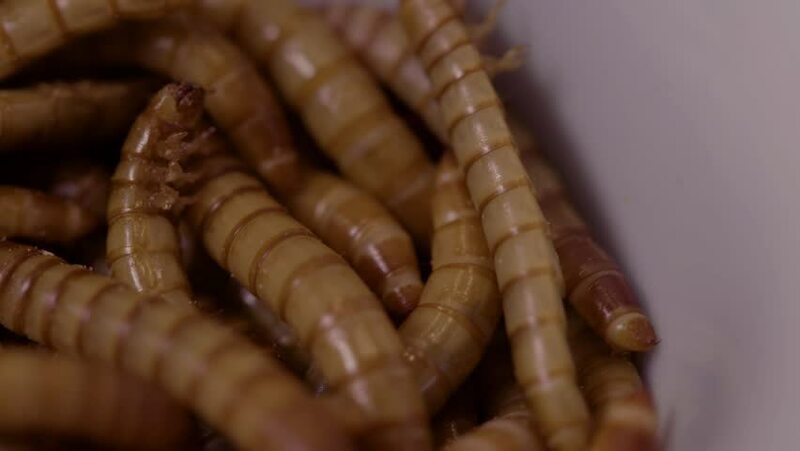 4k00:11A macro timelapse of mealworms in a bowl. hd00:31Group Of Maggots(Acheta Domesticus)Insect Larvae,Bait for Fishing Rod. Larva of Meal worm.Bait for Fishing Rod, Worms for Fishing Hook, Food for Fish.A maggot is the larva of a fly (order Diptera). hd00:19A lot of coffee beans rotating, viewed from above. 4k00:16Close up footage of various exotic spices in glass jar. Panning to the right. Selective focus. 4k00:12Muslim prayer beads on wooden table in low lights. Selective focus. Tilt up footage. hd00:20Roasted coffee beans being turned. High angle view.